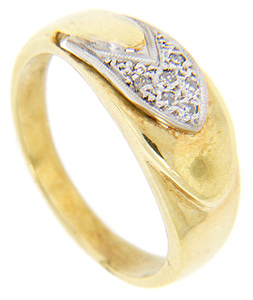 An angled band of white gold set with diamonds ornaments the top of this 18K yellow gold estate wedding band. 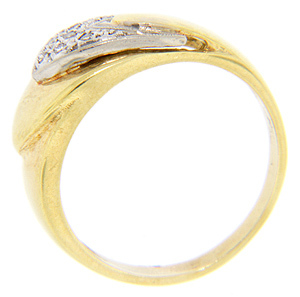 The ring measures 7.7mm wide at the top. Circa: 1960. Size: 7 1/4. We can resize.